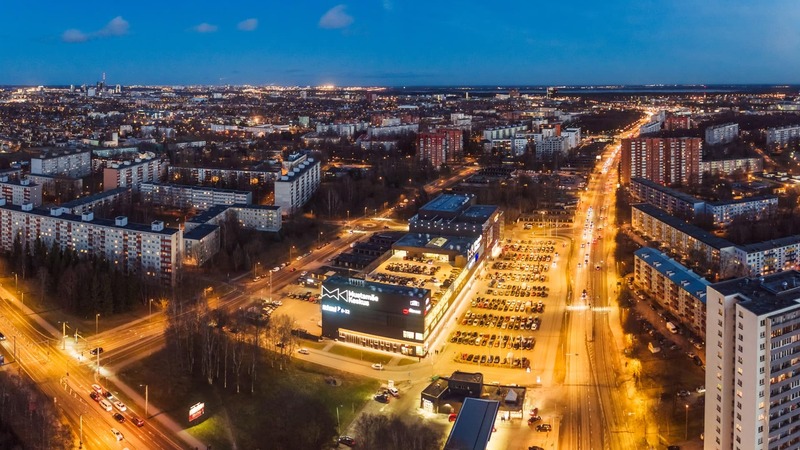 Sprawling in the western part of Tallinn, Mustamäe is the second largest district in Tallinn, while also being the greenest in the city – the district boasts of the most number of parks and green areas. The history of Mustamäe dates back to 1686, when the Kadaka farm was mentioned as being at the centre of a village by the same name. The favourable location right by Tallinn made the Kadaka village a popular place at the beginning of the 20th century, so dozens of new farms were built in the area. Today’s Mustamäe continues to be a popular place and is ideal for families with children. Today’s Mustamäe continues to be a popular place and is ideal for families with children. There are numerous playgrounds and parks here, where you can do sports and spend leisure time, and many schools and kindergartens are comfortably close to home, which creates a safe environment for raising kids. The renowned Tallinn Technical University is also located in Mustamäe. There are many smaller shops amongst the residential areas of Mustamäe, but there are also modern shopping centres and entertainment centres. The newest one is the recently opened Mustamäe Keskus, with its cinema and sports club, and the children’s favourite character Lotte themed café. The trendy cafés of the shopping centre offer sushi, Asian delights or handmade cakes. One of the hottest new eateries is Uulits on Kadaka Street, well known for its hamburgers, and the restaurant Umami nearby is among the top Estonian restaurants. Mustamäe is comfortably connected with the rest of the city by buses and trolleys. The living environment Mäepealse developed by YIT is located on the border of Nõmme and Mustamäe, in a quiet and green area. Nearby you have the popular hiking trails of Mustamäe and Nõmme, where you can do a variety of sports all year around.